On September 16th, after the service, we are having a potluck. Come hungry and ready to spend quality time meeting new people! Wondering what to bring? The Breakdown: Last names beginning with A-M Hot Main Dish Last names beginning with N-Z Salad or Soup Not able to cook? bring a few dollars to help with miscellaneous costs. If you are visiting, just bring yourself! email Laura@elmcityvineyard.org with questions. 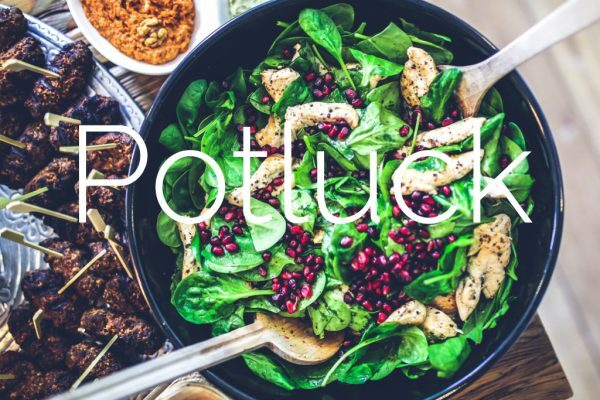 On September 16th, after the service, we are having a potluck. Come hungry and ready to spend quality time meeting new people! Not able to cook? bring a few dollars to help with miscellaneous costs. If you are visiting, just bring yourself! email Laura@elmcityvineyard.org with questions.